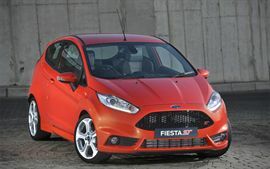 Developed by Ford Team RS, the European arm of Ford Motor Company’s Global Performance Vehicle group, the new Fiesta ST is equipped with a 1.6-litre EcoBoost petrol engine to achieve 0-100 km/h in 6.9 seconds and offer 134 kW and 240 Nm of torque. 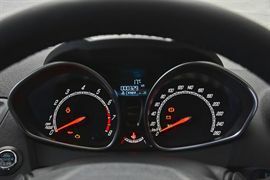 Top speed is 220 km/h. Despite its performance credentials, the Fiesta ST remains fuel efficient at the pumps using an average 5.9 l/100 km and 138 g/km CO2 on a combined cycle run. The Fiesta ST features enhanced systems to maximise performance and driver enjoyment, such as enhanced Torque Vectoring Control (eTVC) which applies brake force to the inside front wheel of the Fiesta ST when cornering to improve road holding and reduce understeer without affecting speed. 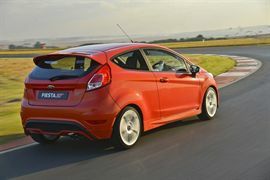 New software controls the Fiesta ST’s balance in response to steering inputs under acceleration and braking – and Electronic Stability Control (ESC) offers full system intervention, wide-slip mode with limited intervention, and full ESC de-activation. 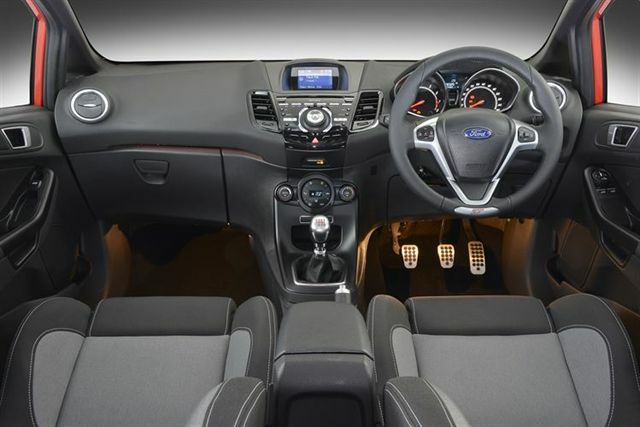 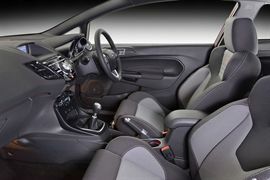 Fiesta ST driver and front passenger will be supported by Recaro sports seats in the new Fiesta ST with the vehicles’ performance credentials also reflected in the ST steering wheel and alloy-metal pedals and gear-shifter. 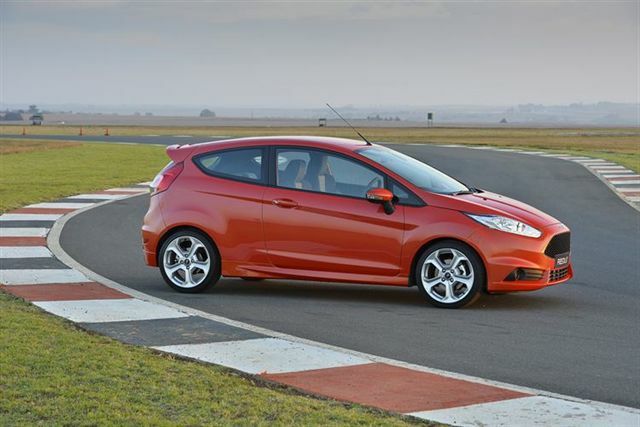 Striking 17” alloy wheels complete the look. Other smart features include MyKey® and SYNC™ technology. 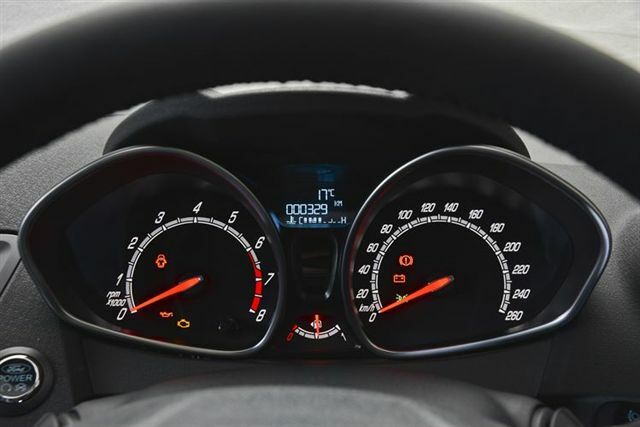 MyKey allows owners to set maximum speed and audio volume limits and ensures safety features are not disabled, a feature that is particularly useful for younger drivers. SYNC allows the driver to operate digital media players and Bluetooth® enabled mobile phones via voice commands and steering wheel mounted controls.